GREAT LOCATION!! Located within minutes from the Kissimmee Lakefront park, Hart Memorial Public Library, Greyhound Bus Station and Downtown Kissimmee. Come see this 2-bedroom 1-bath single family home with a closed-in front porch. 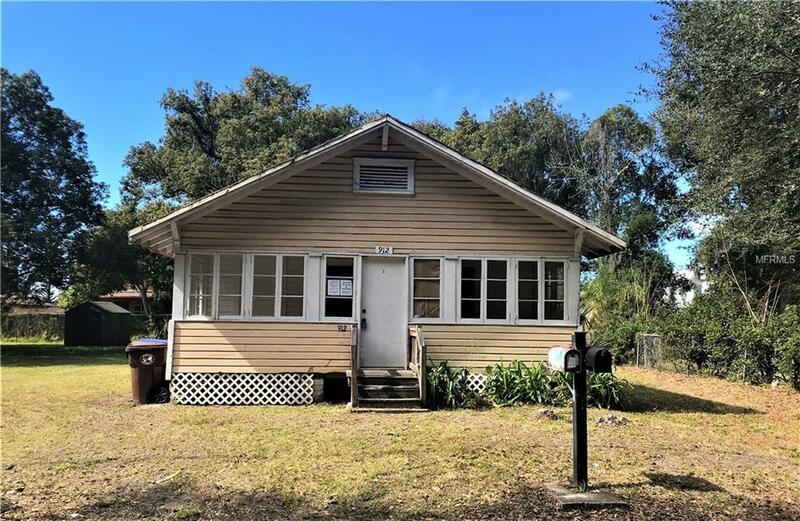 This property has a separate house in the same lot that includes 1-bedroom, 1- Bath, Kitchen, Living Room and 2 separate car garages. This home is in need of some TLC, Its the perfect fixer upper. Home is SOLD AS IS. TWO FOR THE PRICE OF ONE. It is time to buy, call your Realtor today and view this amazing property. Buyer is responsible for their own due diligence, including but not limited to verifying HOA Information, community information and rules, square feet, lot size, room dimensions, and taxes.